It’s a new year, so let’s not start things off by playing favorites. 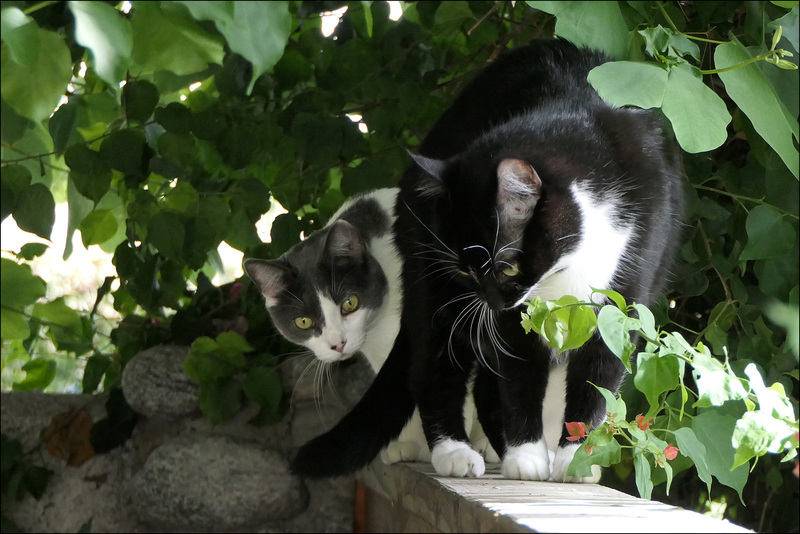 Here are both Hopper and Hilbert in one of their favorite places: on top of the fence surveying their domain. I’m not sure I remember what was going on here. Maybe a squirrel? Or a hummingbird?